We consider our clients as high profile and offer the finest first class fleet for high end transportation service. You will be able to enjoy the most of traveling comfort and safety as well as fun experience with the amenities included in the vehicles. You will also have the privilege position to choose which vehicle that you love the most to ride. The choice of the vehicle will depend on what type of transportation you need. If you are planning to greet and transport your important business clients, then our exclusive feet will cater all the necessities related to the business. For various events and occasions, we have more than one models to pick. 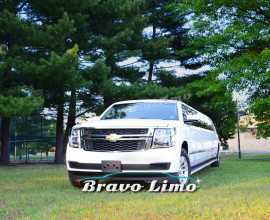 Bravo Limo offer great limo service at the most friendly prices in town. 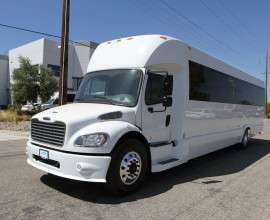 We fully acknowledge on how daunting to choose and prep the transportation for your party or other special occasions. And that is the exact reason why we provide limo service. It is for all our clients sake. You can hire us by choosing a limo from our fleet collections. 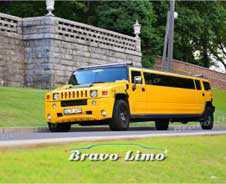 First things first, we provide the wide variety of limo for many exclusive purposes. Our vehicles are maintained on regular basis to ensure the most prime condition when used. We also keep maximizing the decors of interior and exterior. We always prioritize exclusive treatment for special events for you, relatives, and colleagues. Through our vehicles and chauffeurs, we always make sure that you will have a great journey to be remembered. Speaking of our unit, we have new white Cadillac Escalade, which is the SUV body type which can cater up to 24 passengers. 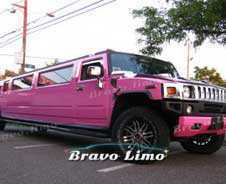 The other vehicles which have the same capacity are Double Axle VIP Escalade and Pink Hummer H2. 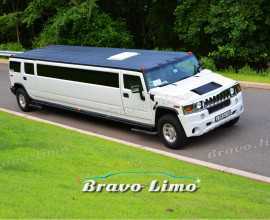 The Bravo Limo service ensures to give the best by maximizing our staff work efforts to help you to bring your event without any hassle and fuss. 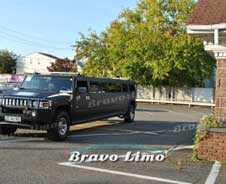 You name it, wedding, birthday, prom, business, Bravo Limo is the best choice in New Jersey. All of our limos are well-presented to meet your requirements and needs. 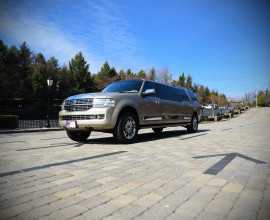 For small party, we have Ford Expedition with the maximum capacity of 8 passengers and 10 passengers. Both can be operated for special events like weddings or proms. But we also have ones which have 9 and 14 seat capacities. This enhance your options of transportation based on the number of your party.